Check out our latest offers and ways to save. Simply mouse over the images to learn more about our current offerings. 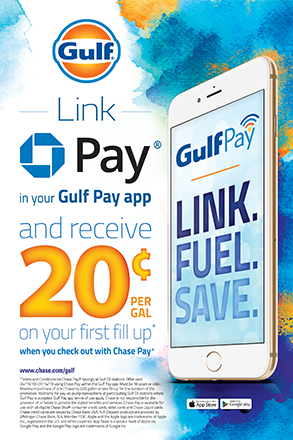 April 15 through July 14, 2019, link Chase Pay in Gulf Pay and receive $0.20/gallon on your first fill-up! Your feedback is valuable and we're listening! 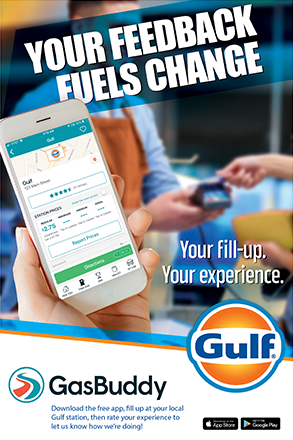 Download the GasBuddy app from the Google Play or Apple App Store, fill up at a local Gulf station and tell us about your experience. Complete GasBuddy's rate and review process and in return, Gulf will fuel a better tomorrow! 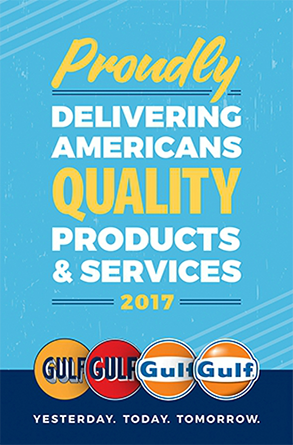 Gulf Oil has been fueling American motorists for over 100 years. We pride ourselves on a commitment to safety, customer service, delivering quality fuels and strengthening the communities in which we operate. Visit your local Gulf station today! 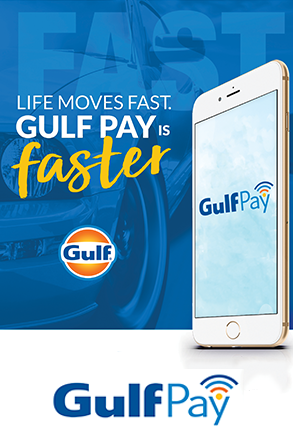 Gulf Pay is the fast, easy and secure way to pay for fuel at the pump. Simply find the nearest Gulf station, pay with your mobile phone and receive exclusive offers on fuel and the products you love. 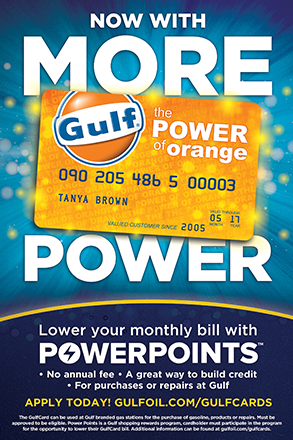 Honored at all Gulf gas stations and good for purchases, repairs or a snack on the go, the Gulf Orange Card is the perfect way to build credit. Plus, experience easy online payment and the ability to lower your monthly bill with our online shopping rewards program, Power Points. 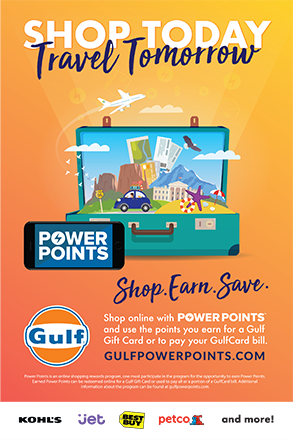 Power Points is an online shopping rewards program that gives you the flexibility you have been looking for. Shop online at thousands of well-known retailers such as Travelocity, Expedia and TripAdvisor and start earning points that will help you save at the pump. What's not to love?